After thoroughly enjoying last years Tour de Fleece, and feeling encouraged by the activity on Ravelry, I have started planning my goals for this years tour. 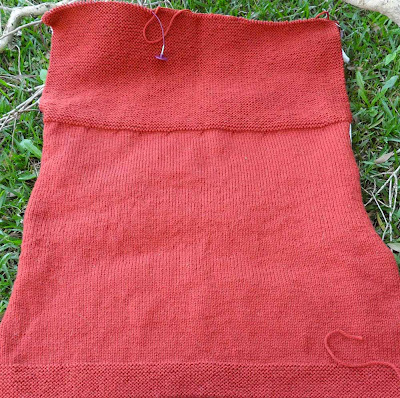 I have decided I want to spin a decent quantity of a plain coloured fleece. 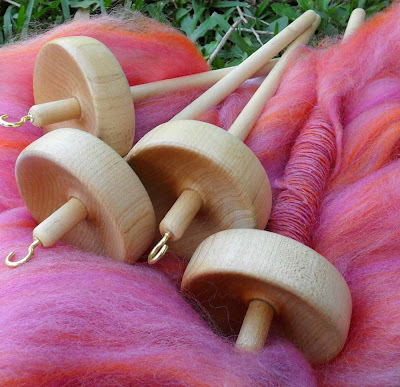 I honestly don't think I could spindle enough for a jumper or cardigan during the tour, but I have decided I want to spin a 3ply, sport or DK weight, and would like to set a respectable goal of maybe half. I realised achieving my goal would be easier if I had some spindles which were the same weight. That way, I can fill 3 spindles, ply from those, and still have a 'working' spindle. 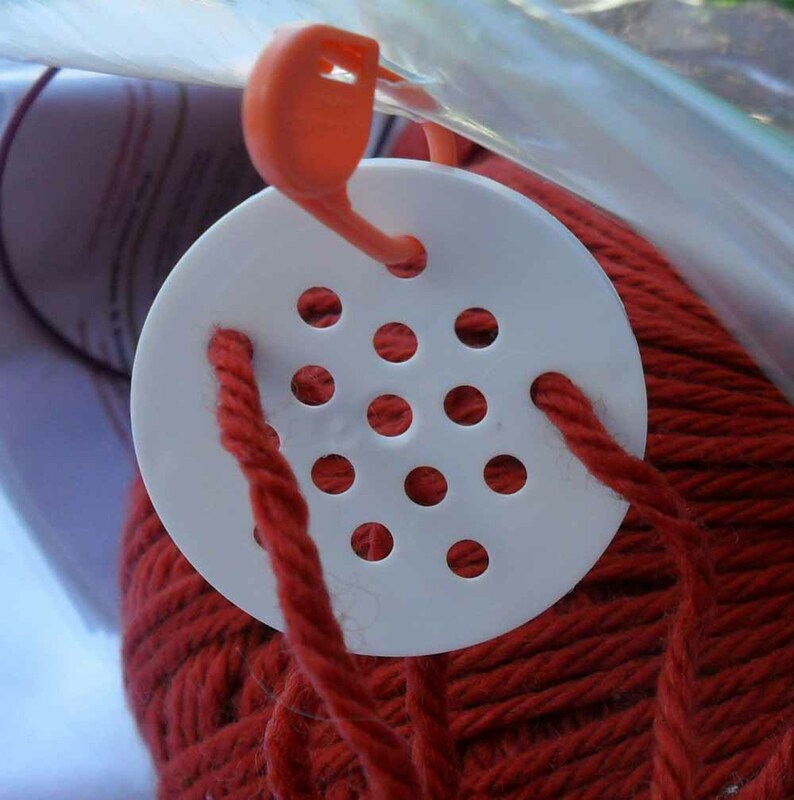 I found these drop spindles from The Knit Store on Etsy. I have already taken one for a spin, and it spins beautifully. 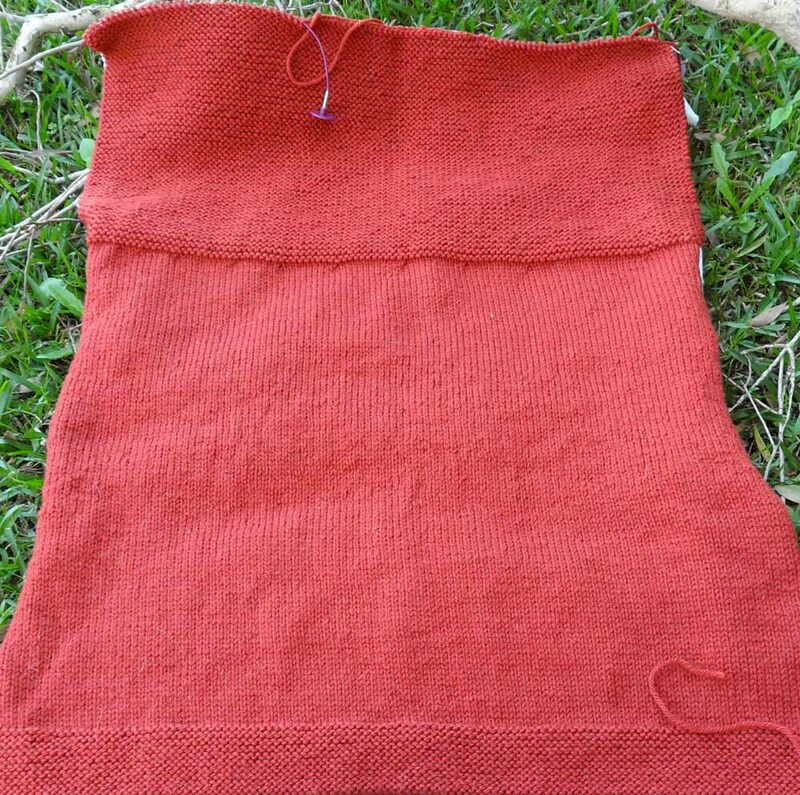 The fibre is perendale, which I bought last year. It is fuchsia and orange, and the colours are combining beautifully when spun. On the knitting side of things, I have finally finished the back of the Simple Spring Swing Cardigan, which has been on the needles for far too long! I love the spice lid idea, I may have to do that with my 2 at a time socks. 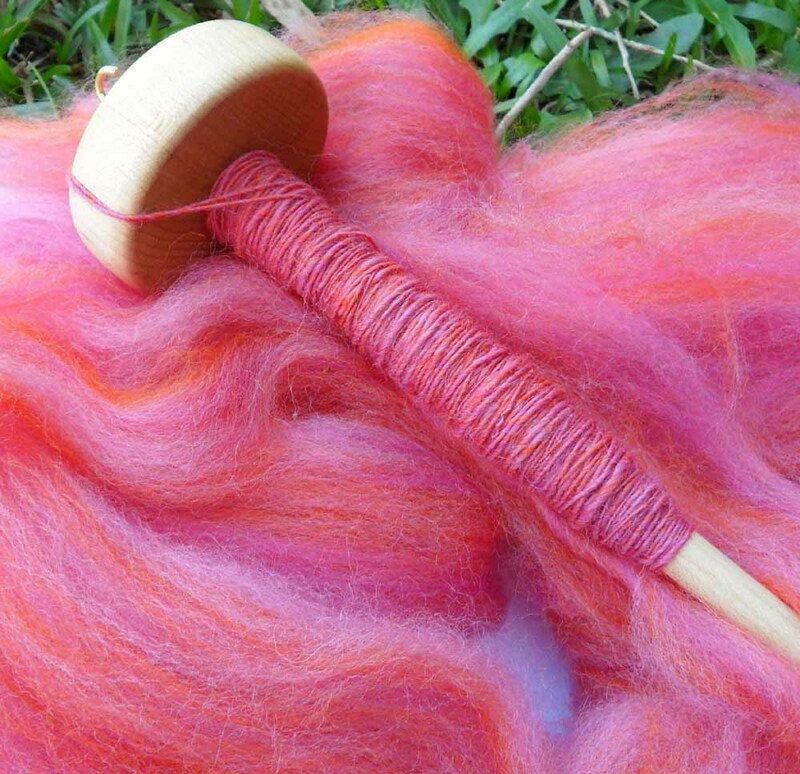 I am also in love with your spindle project, the color is gorgeous. maybe this is a stupid question from a newbie-ish spinner, but why do you need more than one spindle? There are no stupid questions ;) I'm still a newbie-ish spinner too. 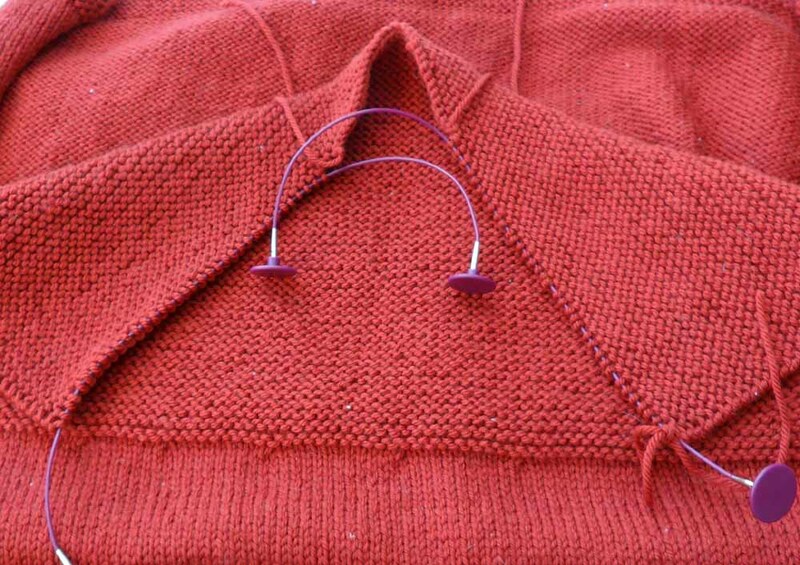 The cardigan color is beautiful! It will look fantastic. Now the idea to use the spice bottle lid is brilliant! The fibre you are spinning is so pretty.